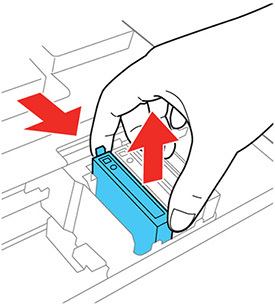 The cartridge may not be seated properly, and may need to be reseated. Make sure the yellow tape from the base of the cartridge is removed. Lower the scanner unit and select Completed on the LCD screen. 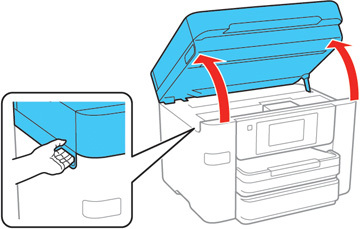 The print head moves to its home position and the printer starts charging the ink. This take about 90 seconds. When you see a confirmation message on the screen, ink charging is finished.